PPSI serves organizations and designs of all shapes, sizes, and industries. Whether you are looking for full production runs or just a few prototypes, we're here to help you assemble your products the right way and on time. Our surface mount (SMT) and through-hole production lines are designed to process low to medium volume, high quality assemblies. 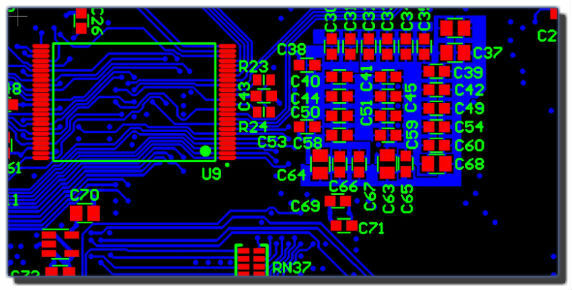 Prototype PCB assembly and NPI services designed for engineers are available for small volume and quick turnarounds. Click to learn more. Let PPSI help you fulfill your RoHS requirements. We have over 20 years of experience with lead free solder alloys and RoHS traceability requirements. Offload supply chain and inventory management to PPSI. Our MRP software keeps component pricing and lead times in line. Have complete confidence in your completed assemblies. PPSI will test to your specifications and/or program your ICs for you. Other services such as conformal coating, box building, component rework, repairs and component recovery are available. See our capabilities here. We continuously refresh and update our PCB assembly equipment. Capabilities include BGAs, 01005s, Lead Free Solder, Automated optical inspection and more. Utilizing a combined 100+ years of PCB assembly experience, PPSI can help optimize your bill of materials and pcb panelization to increase reliability and reduce manufacturing costs.